Okay, it’s Wednesday – otherwise known as hump day. I think everyone deserves a treat for getting to middle of the week and what’s better than cake for breakfast? Healthy cake for breakfast! I could eat cake for all meals if it was good for me, but alas most cake isn’t. 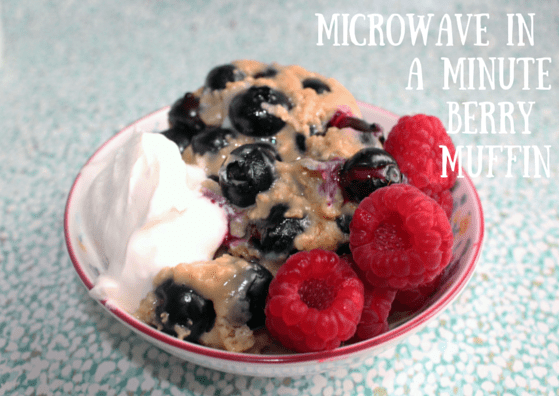 I spent quite a while perfecting this recipe though as I know there are a few microwave cake recipes out there but they were mostly very sweet and more desserty options. 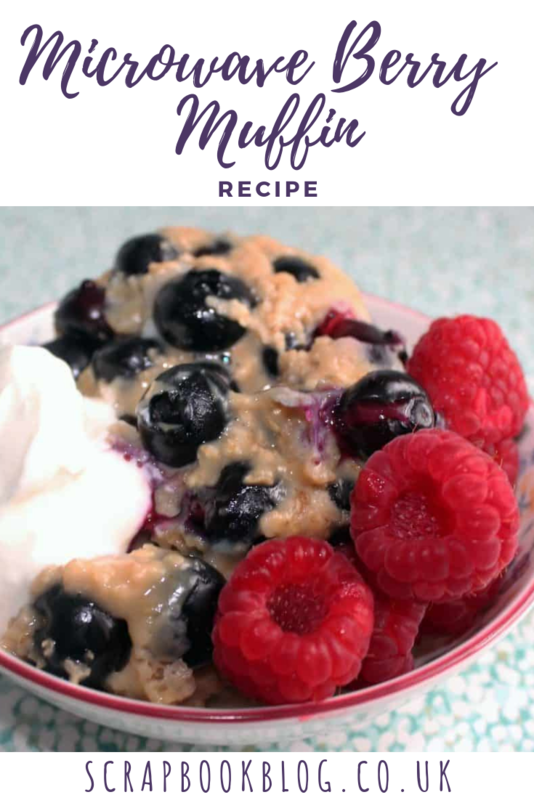 So for my third breakfast creation in Arla’s Choose Goodness challenge I present to you the Microwave in a minute berry muffin! Grab a decent sized mug and mix all the ingredients together (using half of your blueberries) until combined. Pop in the microwave of full power for 60 seconds. Check to see if the top looks firm, if not blast for 10 seconds until it does. Tip your mug onto a bowl, and tap the end till your muffin slides out! 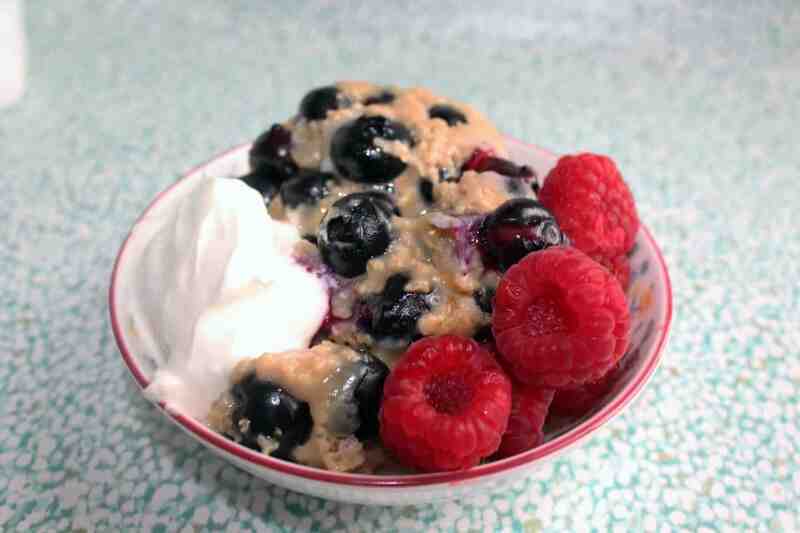 Add your blueberries, raspberries and a dollop of Skyr and delve in! Tip: mix all your ingredients together in one mug, pop the other half of your blueberries into the bottom of a second mug and tip your mixture on top. Then once you turn out your microwave muffin you’ll get a nice juicy layer of blueberries on top! Also be careful not to overheat in the microwave or it does funny things to the egg! You can eliminate the sugar completely for this recipe if you wish, as the berries add natural sweetness. I’ve also tried it with raisins and chopped apple in place of the blueberries, both work really well. I also experimented with lactofree milk and that worked in exactly the same way so if you’re lactose free you could use that and the lactofree yogurt from Arla too. 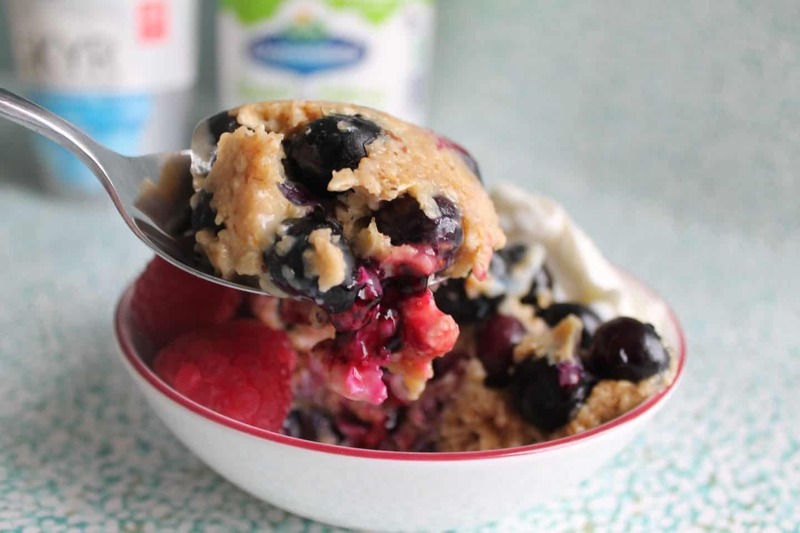 Oh wow this looks amazing…quite healthy too….will definitely be trying this but probably without the sugar. Yummy, the muffin looks delicious and I love the fact it can be made within a couple of minutes! That’s a clever way to get a dessert in a minute: love it! It seems really yummy too, which is not always the case with ‘muffin in a mug’ recipes.